Plane spotting outside the Edmonton International Airport - Sometimes when I am early to Leduc/Nisku for work I will go over to the visitor info building and sit in the bright sun, tan and watch the Planes leave and enter the International Airport. Of course the visitor info building is underneath the flight path so the planes fly right over your head. 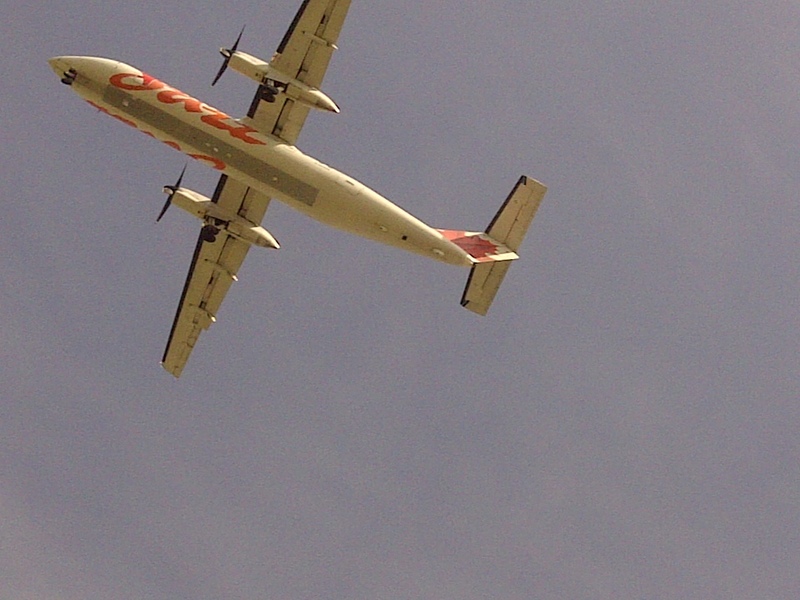 There are a lot of Air Canada flights during the time I am going to work - I ended up snapping this perfect shot of Air Canada Jazz flying over my head. And this was taken by my Blackberry Camera - Zoomed in and snapped to get this perfect result! Plane watching is a nice pastime - What do you do to past the time (travel related)?